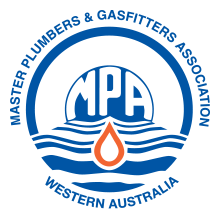 Do you have a plumbing emergency in Perth? We have plumbers on call 24/7, NO Need to wait when you need help! We understand how a plumbing emergency can impact your life and disrupt your home. That is why we are just a phone call away to fix your plumbing needs, if something goes wrong and you need a plumber, please call 08 9470 3753 at any time of the day or night. Plumbing repairs are always a headache and you probably have better things to do than waste time with a poor quality service. No matter where you are in Perth Call Solar Plumb Solutions. We are the specialists in our field and for an emergency plumbing! We are a proudly independent Perth-based company that specialises in a full range of solar services including solar hot water system installation, solar PV, repairs and maintenance. A well-functioning hot water system is a must. Gas and electric hot water units are expensive to run and have high greenhouse gas emissions. The sun provides free energy that can be converted into electricity. Solar energy and hot water systems need to be inspected and serviced regularly to keep the system operating efficiently.